connect the rich tapestry of human everyday language to it. 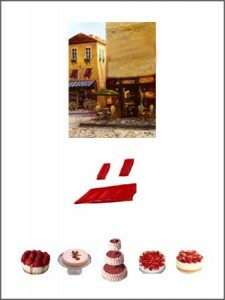 This entry was posted in Appliance Interfaces and tagged Appliance Interfaces, Gatfol "g", NLP on February 29, 2012 by Gatfol Team. Gatfol is currently in limited scope pre-beta testing. Gatfol is a massively scalable algorithmic semantic analysis engine that can be used to flag posts in social media data streams containing word groups that semantically crystallises to general public safety “danger” words. This action of shooting bullies is a new trend in U.S.America that proves this theory of subconscious counter domestic terrorism is a reflex response. To add; Zealot Religions are creating failure, and being check-mated by National Security via acts of domestic terrorism bills passed. Therefore parenting and then zealot religion by-proxy is the cannon fodder of and or actions of domestic terrorism, bullying, a hate-crime and other acts same end. Bullying is a hate-crime, and hate-crimes are acts of domestic terrorism, check-mate.[period]. Some suggest we should have counter domestic terrorism response teams in public schools to stop bullying, and if bullying is not that serious then why are so many bullies being plucked like chicken feathers from society recently with bullets into their heads? Dead. Perhaps this dead end result being that parenting, zealot religion influences, the school faculty, local, state, and federal law enforcement are idiots. End, parenting teaches and allows children bulling, true in fact, and have become a trend of irrational critical non-thinking, therefore parental child abuse and religion gets away Scotty Free. Since this counter bullying by lethal violence and force is common these days reflects obvious society is out of touch with reality completely regards proper ethics, morales, and civil conduct. Blame parenting, we have dead children, obvious too. These similar public school bullying events is a hate-crime and children end up dead. This also applies in reflection especially to DHS/Department of Homeland Security whom have become useless regards this fact in definition in which DHS by origin of creation made these laws to combat domestic terrorism, and by indirect recourse religion and parenting skill sets unethical and immoral targeted, thus perverse by definition. The coast guard was to take DHS position which was the original plan till congress, senate, and lobbyists wanted their noses up everyones business making laws to serve who(? ), and now a mess. Increasing majority are supporting military only federal martial law, indefinite; -till the infection is cleansed. Because no one else appears to be doing the right thing about this, believe in this true. Bullying is an act of domestic terrorism because it represents and is a hate-crime. Hate-crimes are acts of domesticated terrorism tought by the father and mother as parenting -a single entity infecting the off-spring host child which is ethically and morally guided by religion; -So national Security translates. Many Zealot Religions these days motivate, instruct passive/aggressive bullying, (acts of domesticated terrorism), to herd in followers into their idea of proper manhood, citizenry and as end result donations to the zealot religious organization(s). Many in society consider this young man, (“TJ Lane”), have taken the real manhood approach to illuminate domestic terrorism from society/public schools, (an up coming popular recursive reflex response to hate-crimes in public schools, as typed – mentioned). Many in society also consider his, (“TJ Lane”), actions should not to be formalized as a terrorist, but in fact a blessing waking up U.S. to bullying. Have mentioned by others and should the parenting parents be shot in the head as well for raising a domestic terrorists equally? No! Yes! 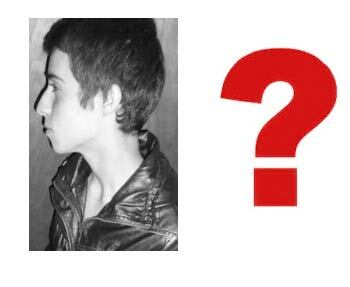 Undecided! “TJ Lane” is considered a hero in society by many many bullied children throughout our U.S.culture, (equally as other such past events), of those being tortured by bullies feel a mental release and pleasure in observation through these events of counter domesticated terrorist life-styles defeated. These victimized bullied citizens are babe children, teens and young adults who have many times in the past been murdered by these bullies in which these murder cases never solved and why never solved? Is parenting, religion a crime and their ethical moral instructional is terrorism; The -U.S.gov suggested(?). Have parenting and crew lead society out of control into hideousness of murdering children by bullying. Bullies end result kill citizens as if a target in moral ethical reflection of parenting and religion, yes true, believe. Parenting, zealot religion teaches bulling. “TJ Lane” felt his life was in danger, obviously. Civilian/Federal law enforcement push these events of bully domestic terrorism under the rug with a huge blind eye and why? -Obvious. Many children, teens, young adults feel for all the children murdered by bullies, and that “TJ Lane” is an obvious law abiding citizen and to many a hero -vers- the domesticated homegrown terrorism, bullies, a hate-crime. As many children applaud “TJ Lane” and while Outside the box looking at society appears being baited that parenting and religion support child abuse and are terrorist cell-leaders; by National Security definition of Domestic Terrorism.[end-game]. This entry was posted in Security and tagged algorithmic semantic analysis, Security, social media data on February 29, 2012 by Gatfol Team. This entry was posted in Security and tagged Chardon Shooting Ohio, Security, TJ Lane on February 29, 2012 by Gatfol Team. 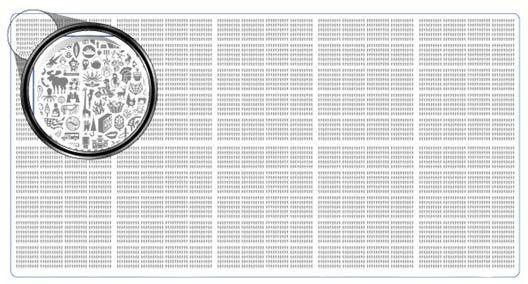 Conservative estimates are that the billions of web images today have at most been semantically (word meaning) tagged to a mere 1% of completion. The holy grail of photo search is to have unambiguous automatic machine recognition and tagging of images covering detailed image components. Current technology “recognises” image detail to an accuracy level spanning substantial uncertainty around most- or all individual visual components. 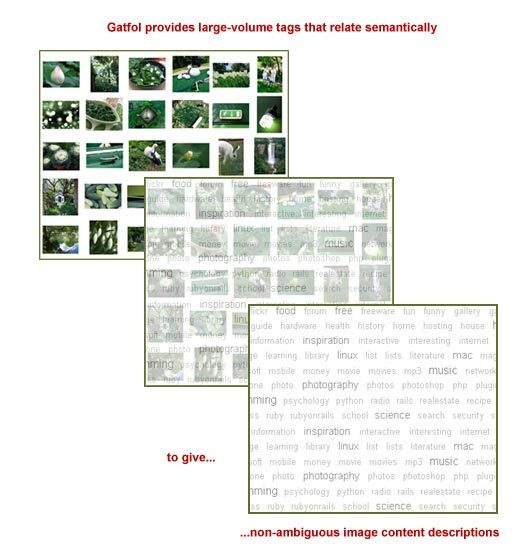 Gatfol provides a solution to “crystallise” individual image elements from vague collective descriptions using Semantic Intelligence Filter Technology (SIFT). With current automatic machine tagging every component or discrete pixel-grouping in an image can at best be labeled with several ambiguous descriptions each. At left we could be looking at a work bench with a painters cap and several containers with dark- and yellow paints and some metallic tools, perhaps a green picnic blanket with tea or coffee and vegetation against a light sky, perhaps a green corn field with white grain silo’s etc. 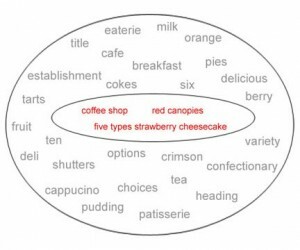 As long as ambiguous image content descriptions are available, Gatfol semantic intelligence is powerful enough to stepwise “crystallise” the ambiguities and provide large-volume detailed tags that all relate semantically. Even though utterly vague and descriptively extremely wide, Gatfol can proceed successfully from this (in all other ways) – incomplete start. Gatfol semantic crystallisation is not only many-to-single down but also single-to-many upwards. Gatfol takes each of the supplied tags above and with SIFT iterates through wider and wider semantic word groupings, continuously checking back to available tags for matchings. If the shiny object at the bottom of the image is not a small mirror, work tool, ball bearing, lightbulb or lens – but a teaspoon, the white object with dark contents is likely a tea or coffee cup with contents and not a bowl with soup – if coffee, then the white object with partial covering of a “hat” at right is not the “best fit” semantically. 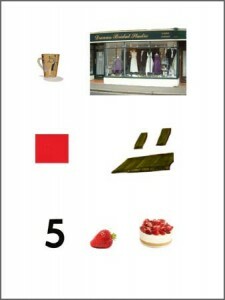 If a teacup, then the green striped object is likely a tea cosy with the white object adjacent, a tea pot. Given these crystallisations, the yellow blob at back is likely not paint, but either jam, butter or coloured ice cream. 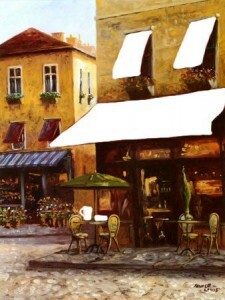 Given a “tea pot and cups” element grouping, the dark bands at back right is likely a chair structure, and given this, the light green object is semantically unlikely to be a picnic blanket or green meadow, but rather a table cloth. In this iterative manner a large volume of detailed tagging is obtained from a limited initial set of ambiguous descriptions. Gatfol provides the base for rich multi-level automatic image tagging on a massive scale. This entry was posted in Image/Video Analysis and tagged Gatfol semantic crystallisation, image tagging, video tagging on February 28, 2012 by Gatfol Team. I saw an article on your company and am very intrigued. I own WorldWideWeb.com and will be developing it very soon and would like to integrate your products on WorldWideWeb. Right now I am involved with a company that is going public in the next few months and I have several million of its shares. They are using a self distribution model and will be doing a second IPO and then that same team will be available to me and I will make WorldWideWeb.com public. I will be looking for companies like yours to purchase a percentage interest using the pre-IPO stock. Once WorldWideWeb is public you will then be able to start selling that stock for growing your company. I am open to investing some money from my existing stock once it goes public. I will find 6 to 12 companies that have great products like you and WorldWideWeb will buy a minority interest. Each company will continue to run their own operation and will be promoted under the WorldWideWeb Brand. As you know everyone knows the phrase ” WorldWideWeb ” so with a collection of services we will become a major factor in the Internet world. Already spooked by the scary pre-IPO’s you have no idea who Mr Fadmof is or what he is connected to. 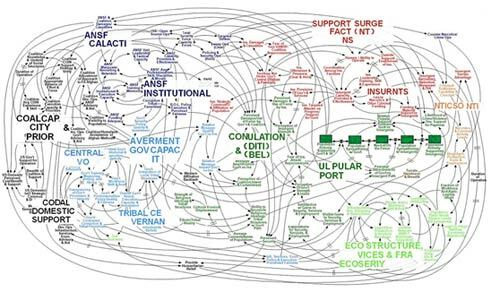 A quick Google search just throws up endless spaghetti diagrams. How do you quickly connect all the web concepts around Mr Fadmof? And – more seriously – how do you then separate the wheat from the chaff? Gatfol is a massively parallel algorithmic system specifically developed to find concept connections on the web where ordinary keyword search proves too weak. To quickly know what we are working with here, we feed Mr Fadmof’s name and website address into our Gatfol enabled Mozilla or IE browser. The Gatfol results immediately show a concern. Gatfol could find nothing of substance behind a barely known Fadmof enterprise called Kaftan Tag Green (other than a lifter product, some reflective panels – these are even linked to WorldWideWeb itself through Slideshare.net – and KTG being really just a reseller of ExonTech Builders Inc products of whom Gatfol could not find a direct ownership link back to Mr Fadmof. Gatfol also posits what KTG’s exact connection is to Grown Builders Source regarding the Jetfreeze product that appears on the KTG website. Of larger concern is WorldWideWeb itself. Other than a few self promoting paragraphs, Gatfol again brings up zero “substantiality” – no company info, no press releases, no sales data, no employee information, no presentations, no partner info, no customer statistics and no funding history. Gatfol flags as a real concern the relative minor investments and startups in Mr Fadmof’s history of copy store, computer store, golf club manufacturer and electric bike distributor. Gatfol highlights that – with several million shares in an IPO, how does re-selling an oil filter on the KTG site make business sense? Manufacturing of course – but reselling? Gatfol picked up Kaftan Tag Green carries as “satisfied customers” huge enterprises like Martin Marietta, Chevron-Texaco and Halliburton, but could not find any wider verification of business relationships between KTG and any of these firms. With Kaftan Tag Resorts (another Fadmof startup/spin-off) stating annual sales at $10-$50 million per Alibaba.com and with property deposits alone each up to $1 million, why is the web connection for Fadmof resort developments given as 4tpc.com with no further evidence of any actual property sales? Gatfol showed that KTR also listed as country of origin “Hong Kong” as per Tradeim.com. With no other equivalent web entries, how can this connection be explained? Is Spartum Resort Management independent from Mr Fadmof in terms of ownership (Gatfol links Spartum as another possible obscure Fadmof historic enterprise)? Gatfol could not find any publically trading entity by this name other than that belonging to Spartum Properties Ltd. 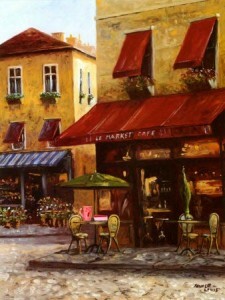 This entry was posted in Web Intelligence and tagged concept connections, connect web concepts, Web Intelligence on February 27, 2012 by Gatfol Team. …the fact that he is planning to sell his Italian-based furniture manufacturing empire for $6.8 million in six months time and distribute $1.5 million to each of his three married sons currently all living in small apartments in Milan – all three of whom have young children approaching school-going age…. ….you as the banker are unaware of this intention…. 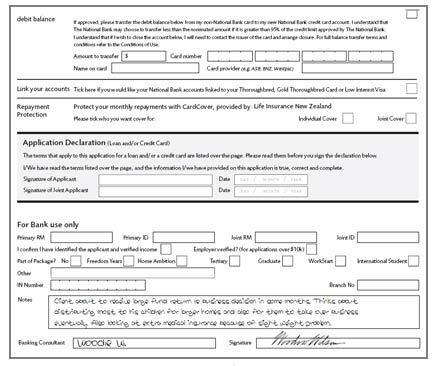 The list of all the banking investment-, insurance, home-ownership, credit card-, personal loan-, online services-, business finance-, hire purchase- and vehicle finance products that can be brought to Mr Lampre and his sons’ attention before they shop around with the multitude of other equivalent service providers out there, is large. In many instances the most important client information from a bank’s commercial perspective is unstructured data around a client’s broader life, and – in many instances – this information is already available in-house. Even though the unstructured “Notes” relating to Mr Lampre was typed into the online database, it was never returned in any global searches, as the most relevant search query was “…all clients selling substantial assets..”. 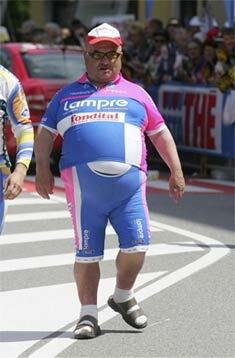 None of the crucial search keywords were hit with Mr Lampre’s “…receive large fund return re business decision…”. Gatfol is the foremost technology to turn any vague- or initial search input into a massive parallel set of stealth queries that will hit almost all the desired keywords. This entry was posted in Banking and tagged Banking, search input, stealth queries on February 24, 2012 by Gatfol Team. I am a buyer looking for very specific soccer boots but I cannot remember the brand name or model. All I can remember is that I saw somewhere that they provided the fastest running ability. 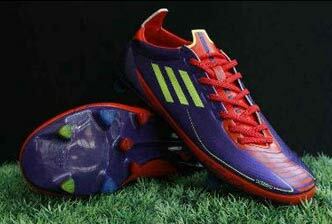 Amongst many thousands of brands and models your catalogue carries Adidas F50 Adizero II Prime FG Soccer Cleats, with the only description being “best regarding rate,speed…”. I use your catalogue search facility with “soccer boots fast running ability..”. I get no hits on the keywords for the specific product that I want and you carry. I know that if I search with different keywords and combinations I might get my product, but I do not have 20 minutes to spend on this. I decide to run by the sports store on the corner and you lose a sale. Now let’s say your catalogue was Gatfol enabled…..
Because Gatfol “knows” billions of real-world concepts and their relationships with each other, and because Gatfol operates invisibly and seamlessly between customers and your online catalogues, my query of “soccer boots fast running ability” is within a fraction of a second cloned into hundreds of thousands of semantic (meaning) equivalent queries ranked according to the best query first that will hit your catalogue. Gatfol calculates that if “soccer boots” becomes “cleats” and “fast running ability” becomes “speed”, the chances of a hit to your catalogue is 92,78% compared to 24.31% for my original search query. 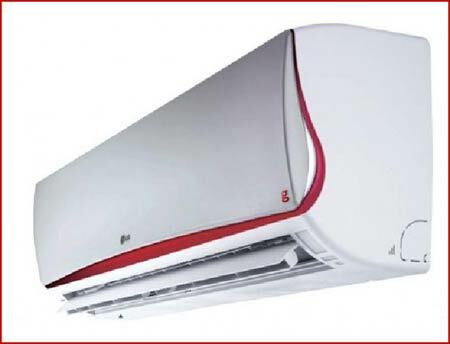 This entry was posted in Online Retail and tagged Online Retail, product search query, search catalogue on February 23, 2012 by Gatfol Team. 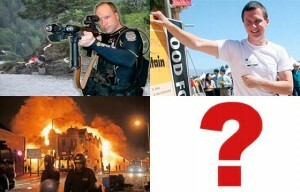 Can Gatfol Stop the Next Anders Breivik or Jared Lee Loughner? Both Anders Breivik and Jared Lee Loughner posted substantial digital repositories before their brutal extremist acts. In an ideal world we should be able to track social network text traffic to pinpoint individuals and groups narrowing in on behaviour that can on many levels be severely harmful to society. Currently this is very difficult. As is almost always the case, online threats and circumstantial postings are ambiguous and contain little or no clear-cut hits against “danger word” listings. With hindsight it is unfortunately evident in most cases that enough online material did exist “pre-terror” to perhaps prevent or minimise the planned actions. Gatfol technology is ideal in facilitating danger-word hits where none exist in the source data. Anders Breivik’s online manifesto contained the following sentence : “I simulate various future scenarios relating to resistance efforts, confrontations with police, future interrogation scenarios, future court appearances, future media interviews etc. “Brief skimming brings up possible danger-words in “scenarios”, “resistance”, “police” etc, but nothing that does not appear in many daily online Tweets, Facebook postings or blog utterances. The Gatfol semantic engine picked up these danger- words but flagged with extreme sensitivity the word combination “media interviews”. Together with “scenarios”, “resistance”, and “police”, the phrase “media interviews” instantaneously and uniquely crystallised in the Gatfol SIFT matrixes as “public violence of newsworthy effect”. Note that the latter semantic equivalent phrase hit totally different keywords that might be required by available danger-word lists. Hello, my name is Jared Lee Loughner. This video is my introduction to you! My favorite activity is conscience dreaming; the greatest inspiration for my political business information. Some of you don’t dream — sadly. Firstly, the current government officials are in power for their currency, but I’m informing you for your new currency! If you’re treasuerer of a new money system, then you’re responsible for the distributing of a new currency. We now know — the treasurer for a new money system, is the distributor of the new currency. As a result, the people approve a new money system which is promising new information that’s accurate, and we truly believe in a new currency. Above all, you have your new currency, listener? Secondly, my hope – is for you to be literate! If you’re literate in English grammar, then you comprehend English grammar. The majority of poeple, who reside in District 8, are illiterate — hilarious. I don’t control your English grammar structure, but you control your English grammar structure. Thirdly, I know who’s listening: Government Officials, and the People. Nearly all the people, who don’t know this accurate information of a new currency, aren’t aware of mind control and brainwash methods. If I have my civil rights, then this message wouldn’t have happen. In conclusion, my ambition – is for informing literate dreamers about a new currency; in a few days, you know I’m conscience dreaming! Thank you! My Final Thoughts: Jared Lee Loughner! Most people, who read this text, forget in the next 2 second! The population of dreamers in the United States of America is less than 5%! If 987,123,478,961,876,341,234,098,601,978,618 is the year in B.C.E. then the previous year is 987,123,478,961,876,341,234,098,601,978,619 B.C.E.987,123,478,961,876,341,234,098,601,978,618 is the year in B.C.E. Therefore, the previous year of 987,123,478,961,876,341,234,098,601,978,619 B.C.E. If B.C.E. years are unable to start then A.D.E. years are unable to begin. B.C.E. years are unable to start. Thus, A.D.E. years are unable to begin. If A.D.E. is endless in year then the years in A.D.E. don’t cease. A.D.E. is endless in year. Therefore, the years in A.D.E. don’t cease. If I teach a mentally capable 8 year old for 20 consecutive minutes to replace an alphabet letter with a new letter and pronunciation then the mentally capable 8 year old writes and pronounces the new letter and pronunciation that’s replacing an alphabet letter in 20 consecutive minutes. If I define terrorist then a terrorist is a person who employs terror or terrorism, especially as a political weapon. This, a terrorist is a person who employs terror or terrorism, especially as a political weapon. If you call me a terrorist then the argument to call me a terrorist is Ad hominem. You call me a terrorist. Thus, the argument to call me a terrorist is Ad hominem. The majority of citizens in the United States of America have never read the United States of America’s Constitution. You don’t have to accept the federalist laws. Nonetheless, read the United States of America’s Constituion to apprehend all of the current treasonous laws. If the property owners and government officials are no longer in ownership of their land and laws from a revolution then the revolutionary’s from the revolution are in control of the land and laws. The property owners and government officials are no longer in ownership of their land and laws from a revolution. Thus, the revolutionary’s from the revolution are in control of the land and laws. In conclusion, reading the second United States Constition, I can’t trust the current government because of the ratifications: The government is implying mind control and brainwash on the people by controlling grammar. No! 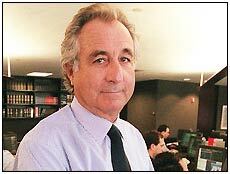 I won’t pay debt with a currency that’s not backed by gold and silver! No! I won’t trust in God! What’s government if words don’t have meaning? Given the above – what would we as human filters uniquely flag as strongly pointing to a possible public assassination attempt ? – (eventually that of Congresswoman Giffords in Arizona not long after the above online postings). Gatfol employs a massively parallel filtering technology called SIFT that looks at data from multiple simultaneous “focus points”. Any multiword grouping can be equivalently transformed into any other multiword group, keeping semantic- and grammar integrity intact. This enables Gatfol to “see” semantic perspective in large datasets that is not immediately evident to human analysts or investigators. Gatfol flagged the following phrase excerpts “in a few days, you know I’m conscience dreaming”, “final thoughts”, “political weapon” and interestingly enough “all humans are in need of sleep” which Gatfol, given the preceding phrases, semantically transcribed to “permanent sleep”. Together with Loughner’s words that Gifford was “stupid & unintelligent” (he apparently met her in 2007) and the fact that she was appearing in person in Tucson not far from Lougner’s place of stay flags critically of planned personal-directed injury. – and other data – is critical on any local, national and international security analysis level. This entry was posted in Security and tagged Anders Breivik, Jared Lee Loughner, London riots, Security on February 22, 2012 by Gatfol Team. This software application relates to information processing and more specifically relates to scalable stepwise analysis of unstructured natural language data to generate multiple alternative semantic views of text and assist with simplifying and speeding-up of real-time analysis of large volume inline data streams. The latter could be real-time security image- or video tagging”, inline analysis of Twitter, Facebook or security scanning of mobile phone SMS and voice data. Enabling computers to understand language remains one of the hardest problems in text analysis. Language is highly contextual. Often the same words have different meanings in different contexts and small differences in sentence structure can lead to totally different meanings. At the same time, a great number of different sentence structures can have the same meaning. Most information analytics use text-based probing tools. To return accurate results, search- or summarization algorithms must be able to apply some form of language interpretation to query strings. Most of the time interpretation will be limited to simple keyword determination for extraction against data repositories. One simple increase in extraction complexity is to perform keyword synonym replacements – usually on a single-to-single word basis. Thus the word “picture” may have the synonym “photo” so that analytical searches against “picture of Grand Canyon”, also extracts “photo of Grand Canyon”. Merely applying synonyms can easily lead to wrong results. If a search is for “history of motion pictures” then the word “pictures” must not be substituted with “photos” because the string “history of motion photos” is meaningless. As another example, if an analysis includes a search for “HP wide screen monitor” and we operationally substitute the synonym “detector” for “monitor”, and “shutter” for “screen”, completely irrelevant returns would be delivered. 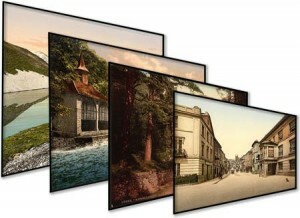 General text extraction analysis therefore also needs to be able to perform contextual (meaning or semantic) processing so that it “knows”, for example, that the string “HP wide screen monitor” has nothing to do with shutters or detectors and that the term “motion photo” is not the same as “motion picture”. Even words which are normally interchangeable can lead to totally different meanings when used in different contexts. A search for “arm reduction” probably has to do with cosmetic surgery whereas “arms reduction” relates to reducing stockpiles of weaponry. When longer sentences are involved, erroneous permutations become exponentially more complex. It is very difficult for machines to semantically interpret longer search queries so as to deliver meaningful extraction results. As illustration, a search on Google TM for “Software companies founded before 1990 with a current turnover of more than $100 million” yields a list of largely irrelevant references, even though the search query is perfectly clear to a human and the information is doubtless available on the Internet. Because existing analytics rely primarily on keywords and basic synonym replacement rather than the semantic “context” of words, most extraction operations – through necessity – spirals down to what has been dubbed “caveman speak”, where for example, an extraction of popular seafood restaurants in Seattle might end up as a search for “seafood Seattle” rather than “provide a list of good affordable seafood restaurants in Seattle”. Existing semantic analysis engines are weak at converting complex contextual meanings in search inputs to meaningful results. Much of the web and proprietary datasets in which machine-readable data is available, also contains “meta data” (information about data) that guides language analytic tools on what a subset of text or a topic is about. This meta-data can be in the form of structuring (i.e. columns with textual column headers), instruction sets that act as processing “directors”, or purely be textual synopsis of following information – all to enable non-human analytic tools to understand the meaning of information directly, without the interpretation problems that plague unstructured text . Currently, certain defined domains – for example, airline booking systems – operate in this way. Thus the term “JFK” in an airline booking system means only John F Kennedy International airport in New York, not to the former US president or other terms that may have these three letters as their acronym. Some hierarchical analytic engines identify higher-level groupings or categories and filter out irrelevant results by “vertically” applying selected categories only. Thus a search for “chicken” might identify categories of “animals” and “recipes” and allow the analytics for instance to filter so as to only search within one of the two categories. The goal of all-encompassing semantic search has not yet fully been realized, despite ongoing efforts to index, categorize and associate concepts in multitudes of datasets worldwide. The main problem is the enormity of the task involved in performing such identification and association, which requires huge structured lexicons and ontologies as guides. It would be advantageous to have a completely autonomous self-replicating system that is able to build a contextual language model so that search strings can be interpreted more accurately by language analytic engines, without the need to categorize or index existing content. It is the object of the Gatfol software application to provide a massively scalable but easy-to-install system in the form of a simulated Hadoop method (distributed multiple redundant master and slave nodes) for the stepwise crystallization of natural language (English) text input from semantic complexity to semantic simplicity on single ordinary desktop computers to enable extremely fast searches of multi-keyword groups to be made into very large data streams. 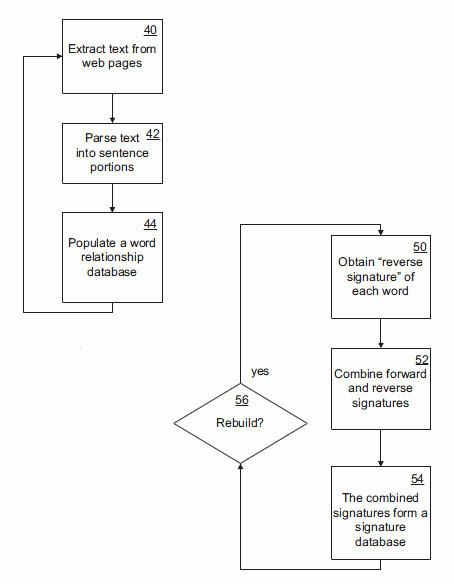 This software application is subsumed under provisional patent number 61/476,917 lodged 19 April 2011 in New York USA under the international searching authority of the United States Patent and Trademark Office (USPTO) (ISA/US) with the title of “A SYSTEM AND A METHOD FOR GENERATING MULTIPLE ALTERNATIVE SEARCH STRINGS TO FACILITATE IMPROVED COMPUTERIZED SEARCH”, and also under PCT international application PCT/IB2012/051870 on 16 April 2012, submission number 44897 with the International Bureau of the World Intellectual Property Organization in Geneva Switzerland, with the title “A COMPUTERIZED SYSTEM AND A METHOD FOR PROCESSING AND BUILDING SEARCH STRINGS”. 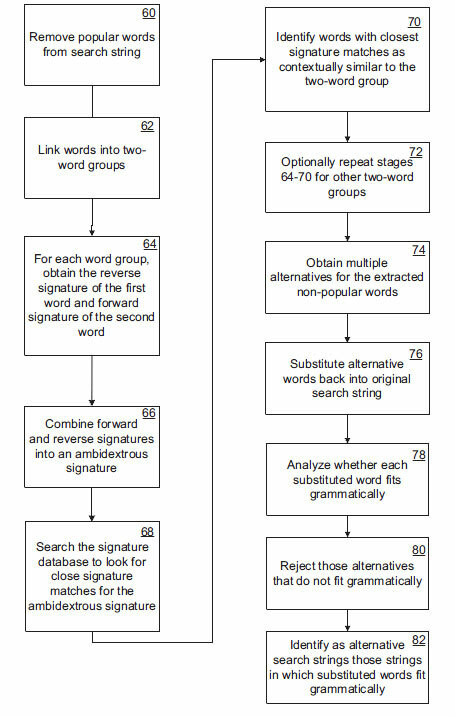 The crux of the application is the comparison of left-right ambidextrous grammar signatures for all keywords in the search input and the application of Markov chain analysis to create multiword groups of similar semantics and intact grammar corresponding to the original input. The application comprises multiple redundant local machine based master and slave software nodes to process input in parallel to ensure extremely high throughput speeds at very large input volumes, regardless of machine- and CPU hardware configurations . Any amount of nodes can be used with processing speed increases proportional to the volume of nodes applied. The application engine as well as all data inflow into the application and all resultant outflow is fully contained on the local machine. No programmatic calls are made outside of the local machine for any reason at any time whatsoever. This characteristic is critical for application in security classified military- or other confidential data stream environments. At a first stage, popular words are removed from the input search string. Popular words are identified as those words with a total frequency in each software processing node word relationship database that is higher than a predetermined threshold – in other words, those words that appear very commonly in the total body of text as indexed by the node. Consider the search string “Where can I get cool spring water?”. The words “where”, “can”, “I” and “get” will be identified as popular words, with the remaining words “cool spring water” being non-popular words. This keyword compression maximizes search speed. At the next stage, the non-popular words are linked in two-word groups from left to right with the last word of any preceding two-word group forming the first word of the next two-word group. In this case, there are two two-word groups, namely “cool spring” and “spring water”. Importantly, the final ambidextrous word relationship signature gives the forward and reverse relationship of the two words “cool spring” in combination, as if the word combination is a single (but natural language wise currently “non-existing”) word. Next the node signature database is searched to look for close signature matches for the ambidextrous “word group” signature. By comparing the ambidextrous signature to the word signature database and looking for close matches, single words can be found that are semantically similar to the two word group, “cool spring”. In this manner a crystallization from high grammar- and semantic complexity to simplicity is achieved. The previous stage is repeated for each of the other two-word groups in the search string, which in this example is the second two word group, “spring water”. In this way, one or more other words are identified that are semantically similar to “spring water”. Combining the results of both iterations yields a number of two word strings that are each semantically similar to “cool spring water”. For example, if one of the words identified as semantically similar to “cool spring” was “refreshing” and one of the words identified as semantically similar to “spring water” was “liquid”, then “refreshing liquid” would be identified as semantically similar to “cool spring water”. Using the substitute word or words for “cool spring” and “spring water”, and repeating the procedure with the substitute two words (e.g. “refreshing liquid”) using a simplified Markov chain analysis algorithm, it is possible to repeat the preceding stages to find individual words that are semantically similar to the three words, “cool spring water”. In this example, the single word “juice” could, for example, be identified as semantically similar to “refreshing liquid”. While the method described above enables the extracted non-popular portion of the search string to be substituted with semantically similar words, it does not necessarily follow that the semantically similar words will be grammatically correct when substituted back into the original search string. 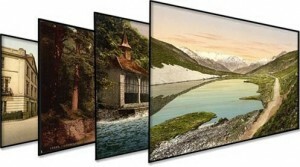 For example, in the search string, “Where can I get cool spring water?”, if the word “season” is identified as semantically similar to the two words “cool spring”, substituting “season” into the original string yields the phrase, “Where can I get season water?” which clearly is not grammatically correct. In this case, the meaning is also not as originally intended because of the multiple meanings of the word “spring”. In most cases, where the substituted words yield a sentence that is grammatically incorrect, the meaning of the alternative string is different from the intended meaning of the original string, but where the substituted words yield a sentence that is grammatically correct, the meaning is generally consistent with the original meaning. To overcome the problem of grammatically incorrect alternative search strings, each node application applies additional steps by means of which grammatically incorrect alternative strings can be excluded. To do this, the semantically substituted words are first substituted back into the original search string. Then each substituted word is analyzed within the original string to see whether the words preceding it and following it are words that are associated with the substituted word by a predefined degree. This is done by looking up the word in the node word relationship database and checking whether the word following it appears within the list of row fields with more than a predetermined frequency. Using the reverse signature of that word, a check is also made to see whether the word preceding it appears within the list of row fields with more than a predetermined frequency. Only if both the preceding and following words appear within the row of fields with more than a predetermined frequency is the word regarded as fitting grammatically within the string, otherwise they are rejected at the final stage. For example, in the case of the alternative string, “Where can I get season water”, it is very unlikely that “get” will appear within the list of words that commonly precede “season” or that “water” will appear within the list of words that commonly follow “season”. This alternative string will therefore be rejected as grammatically incorrect. If the word “fresh” is identified as semantically similar to “cool spring”, the string, “Where can I get fresh water?” would be checked for grammatical correctness by seeing whether the word “get” commonly precedes “fresh” and whether “water” commonly follows “fresh”. In both cases, the answer will be in the affirmative and, at the final stage, the string “Where can I get fresh water?” will be identified as an alternative string for “Where can I get cool spring water?”. Once multiple alternative strings of diminishing grammar- and semantic complexity (crystallization) have been generated, they are simultaneously or in very rapid succession input into search streams (i.e. using “danger” word blacklists) and the results compared. 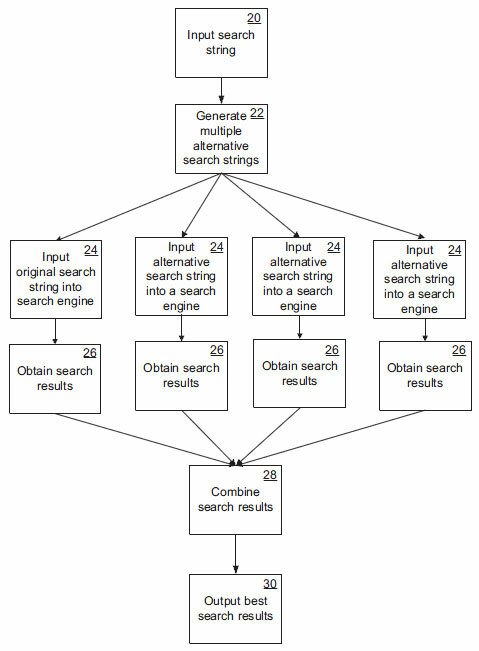 The “search hits” that are found to be relevant in the aggregated results of multiple alternative crystallized search inputs can then be identified as more relevant than those hits which are only found to be relevant in the results of one search string – as is currently the case with most search engine input. The most relevant search hits are presented to the original user application first. From the perspective of the user of search analytics all functioning described above is completely hidden and operates in stealth ‘in the background. The user interacts with the search analytics application(s) in exactly the same way as before, but receives output results based on the multiple stealth alternatives. 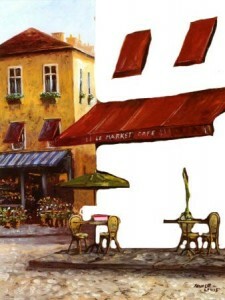 Note how the small “coffee cup” negative space adds “coffee” to the full “coffee shop” semantic image. We do not have “coffee” as a concept, neither do we have “shop”, and NEITHER DO WE HAVE “coffee” and “shop” as a combinational concept. 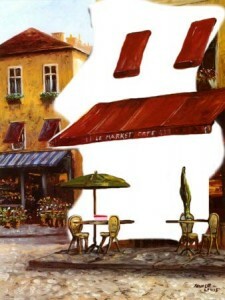 We have a unique negative space of “coffeeshop” that’s neither individually or in combination part of the original input concepts. Gatfol fluidly expands the “negative spaces” to contain almost any combination of concepts in an input dataset. When building the software node word relationship databases, Gatfol uses a proprietary technology called SIFT. Build words are forced through semantic matrix “filters” each with a different “focus”. Above we could be looking at a work bench with a painters cap and several containers with dark- and yellow paints and some metallic tools, perhaps a green picnic blanket with tea or coffee and vegetation against a light sky, perhaps a green corn field with white grain silo’s etc. As long as ambiguous image content descriptions are available, Gatfol semantic intelligence is powerful enough to stepwise crystallize the ambiguities and provide large-volume detailed tags that all relate semantically. Each of the supplied tags above is iterated with SIFT through wider and wider semantic word groupings, continuously checking back to available tags for matchings (Gatfol semantic crystallization is not only many-to-single down but also single-to-many upwards as well as multiword to multiword). 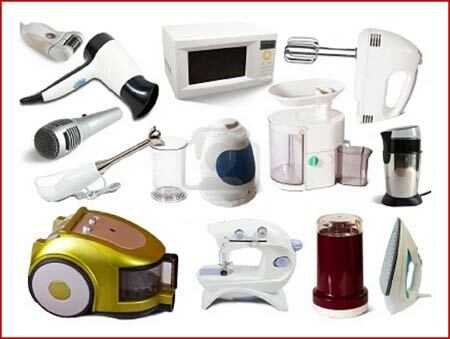 If the shiny object at the bottom of the image is not a small mirror, work tool, ball bearing, light bulb or lens – but a teaspoon, the white object with dark contents is likely a tea or coffee cup with contents and not a bowl with soup – if coffee, then the white object with partial covering of a “hat” at right is not the “best fit” semantically. 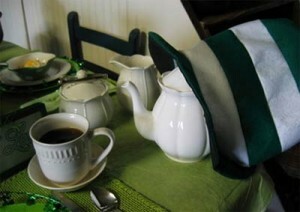 If a teacup, then the green striped object is likely a tea cozy with the white object adjacent, a tea pot. Given these crystallizations, the yellow blob at back is likely not paint, but either jam, butter or coloured ice cream. Given a “tea pot and cups” element grouping, the dark bands at back right is likely a chair structure, and given this, the light green object is semantically unlikely to be a picnic blanket or green meadow, but rather a table cloth. In this iterative manner a large volume of detailed tagging is obtained from a limited initial set of ambiguous descriptions. Semantic scrubbing of media- and cell phone data streams covering – inter alia – aspects related to Terrorism, Weather/Natural Disasters/Emergency Management, Fire, Trafficking/Border Control Issues, Immigration, HAZMAT, Nuclear, Transportation Security, Infrastructure, National/International Security, Health Concerns, National/International, Public Safety and Cyber Security. Both Anders Breivik and Jared Lee Loughner posted substantial digital repositories before their extremist acts. In an ideal world we should be able to track ambiguous social network traffic to pinpoint individuals and groups narrowing in on behaviour that can be harmful to society. As is mostly the case, online threats and circumstantial postings contain little or no clear-cut hits against “danger word” listings. Anders Breivik’s online manifesto contained the following sentence : “I simulate various future scenarios relating to resistance efforts, confrontations with police, future interrogation scenarios, future court appearances, future media interviews etc. “Brief skimming brings up possible danger-words in “scenarios”, “resistance”, “police” etc, but nothing that does not appear in many daily online Tweets, Facebook postings or blog utterances. Unlike almost all competing technology available today, Gatfol provides robust parallel processing power from even simple desktops or laptops. With all data streams staying local to the processing machine, field agents or operators do not require online access for operation in any way. With a simulated Hadoop multiple master-and-slave node architecture built around simple but robust WindowsTM executable files and with multiple fallback redundancies around both master and slave functions, as well as all nodes individually carrying full word relationship databases, reliability of throughput is ensured – especially critical in large volume streaming functionality. With a base in ordinary executable files, Gatfol also secures legacy hardware and OS (Windows XP and older) functionality and easy portability in instances of local machine OS upgrades. Gatfol standalone architecture can be easily incorporated into wider distributed processing architecture including full Hadoop – with corresponding increases in throughput performance. Current best performance of a 50-100 level deep crystallization stack on a standalone desktop (Intel Dual 2.93 GHZ 3.21GB RAM Windows XP) for text throughput is 3.6mb/hour for a single Gatfol cluster instance, 11.78mb/hour for a 10-cluster instance and 98mb/hour for a 100-cluster instance. On a standalone desktop (Intel Quad 3.30 GHZ 2.91GB RAM Windows XP) best text throughput for a 50-100 level stack on a Gatfol 1000-cluster instance is 611mb/hour. Total text throughput for a 50-100 level stack on an ordinary desktop Microsoft Networks-linked grouping of 20 desktops (Intel Single core 2.8GHZ 768MB RAM Windows XP) each running a Gatfol 100-cluster instance is 1.9GB/hour – giving maximum text output volume of 140GB/hour. In private Beta since March 2012. Full field ready product to be available from October 2012. Gatfol operates a 24/7 software node word relationship database update service trawling through approximately 9TB of unique web text data per month. To ensure absolute stealth and security on a local machine basis no online update calls are made by the application. Updates can be made freely and easily at any time on a manual basis from the Gatfol website by any user. 1) Terrorism: Includes media reports on the activities of terrorist organizations both in the United States as well as abroad. This category also covers media articles that report on the threats, media releases by al Qaeda and other organizations, killing, capture, and identification of terror leaders and/or cells. 2) Weather/Natural Disasters/Emergency Management: Includes media reports on emergency and disaster management related issues. 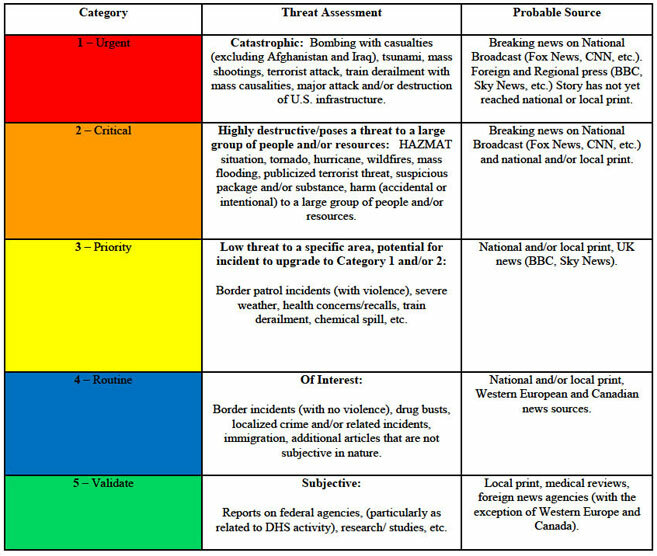 Reports include hurricanes, tornadoes, flooding, earthquakes, winter weather, etc. (all hazards). Reports outline the tracking of weather systems, reports on response and recovery operations, as well as the damage, costs, and effects associated with emergencies and disasters by area. Will also include articles regarding requests for resources, disaster proclamations, and requests for assistance at the local, state, and federal levels. 3) Fire: Includes reports on the ignition, spread, response, and containment of wildfires/industrial fires/explosions regardless of source. 4) Trafficking/Border Control Issues: Includes reports on the trafficking of narcotics, people, weapons, and goods into and out of the United States of an exceptional level. 5) Immigration: Includes reports on the apprehension of illegal immigrants and border control issues. 6) HAZMAT: Includes reports on the discharge of chemical, biological, and radiological hazardous materials as well as security and procedural incidents at nuclear facilities around the world, and potential threats toward nuclear facilities in the United States. Also included under this category are reports and responses to suspicious powder and chemical or biological agents. 7) Nuclear: Reports on international nuclear developments, attempts to obtain nuclear materials by terrorist organizations, and stateside occurrences such as melt downs, the mismanagement of nuclear weapons, releases of radioactive materials, illegal transport of nuclear materials, obtaining of weapons by terrorist organizations, and breaches in nuclear security protocol. 8 ) Transportation Security: Reports on security breaches, airport procedures, and other transportation related issues, and any of the above issues that affect transportation. Reports including threats toward and incidents involving rail, air, road, and water transit in the United States. 9) Infrastructure: Reports on national infrastructure including key assets and technical structures. Articles related to failures or attacks on transportation networks, telecommunications/ internet networks, energy grids, utilities, finance, domestic food and agriculture, government facilities, and public health. 10) National/International Security: Reports on threats or actions taken against United States national interests both at home and abroad. Reports including articles related to threats against American citizens, political figures, military installations, embassies, consulates, as well as efforts taken by local, state, and federal agencies to secure the homeland. Articles involving intelligence will also be included in this category. 11) Health Concerns, National/International: Includes articles on national and international outbreaks of infectious diseases and recalls of food or other items deemed dangerous to the public health. 12) Public Safety: Includes reports on public safety incidents, building lockdowns, bomb threats, mass shootings, and building evacuations. 13) Reports on DHS, Components, and other Federal Agencies: Includes both positive and negative reports on FEMA, CIS, CBP, ICE, etc. as well as organizations outside of DHS. 14) Cyber Security: Reports on cyber security matters that could have a national impact on other CIR Categories; internet trends affecting DHS missions such as cyber attacks, computer viruses; computer tools and techniques that could thwart local, state and federal law enforcement; use of IT and the internet for terrorism, crime or drug-trafficking; and Emergency Management use of social media strategies and tools that aid or affect communications and management of crises. This is a current list of terms that will be used by the NOC when monitoring social media sites to provide situational awareness and establish a common operating picture. As natural or manmade disasters occur, new search terms may be added. This white paper and updates to it are made available for general information purposes only and is in no way binding upon Gatfol. By reading this white paper you understand that there is no supplier-client or advisory relationship created between you and Gatfol. Although the information in this white paper and updates is intended to be current and accurate, the information presented therein may not reflect the most current technical- or procedural developments, regulatory actions or software developments. These materials may be changed, improved, or updated without notice. Gatfol is not responsible for any errors or omissions in the content of this white paper or for damages arising from the use or performance of this white paper under any circumstances. We encourage you to contact us for specific feedback- or advice as to your particular matter. The contents of this paper are protected by the patent laws of the United States and other jurisdictions. You may print a copy of any part of this blog for your own personal, noncommercial use, or for reasonable distribution to directly interested third parties, but you may not copy any part of the white paper for any other purposes, and you may not modify any part of the white paper. Inclusion of any part of the content of this paper in another work, whether in printed or electronic, or other form, or inclusion of any part hereof in another web site by linking, framing, or otherwise without the express written permission of Gatfol is prohibited. Updates to this document will be published on the gatfol.com blog. This entry was posted in Gatfol White Papers and tagged confidential data streams, Homeland Security, Military on February 20, 2012 by Gatfol Team. How does Gatfol work algorithmically? Lets look at the following input phrase. 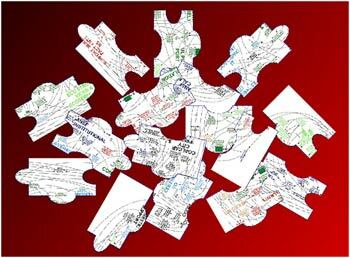 This entry was posted in Gatfol Search Technology and tagged Gatfol algorithms, negative semantic spaces on February 16, 2012 by Gatfol Team. This entry was posted in Gatfol Search Technology and tagged Gatfol query universe, Google search queries on February 12, 2012 by Gatfol Team. What is the underlying technology driving Gatfol’s semantic analysis engine? Gatfol drops input search words through patented matrix “filters” each with a different “focus”. but a narrow focus additionally sees a country house in the landscape. This entry was posted in Gatfol Search Technology and tagged semantic intelligence filter technology (SIFT) on February 10, 2012 by Gatfol Team.